Is your business ready for the future of pay? The buzz about mobile wallets is getting louder every day, and those who reach for the earplugs instead of opportunity risk being left behind. Basically the equivalent of a physical wallet, a mobile wallet is a place to store, organize and access a digital version of payment and non-payment items on a mobile device – keeping credit cards, loyalty cards, coupons, stored value cards, membership cards, tickets and more all in one place. Actually, we’ve already reached that point with the prevalence of credit and debit cards. But digital wallets are poised to overtake those popular physical forms of payment with even greater convenience, versatility and security. It just takes a smartphone, which most – if not all – of your customers own. In fact, there’s nothing special to do or extra to buy to get a mobile wallet. It’s pre-installed on every smartphone – Apple Wallet on iPhone and Google Pay on Android. Other mobile wallet apps are available for downloading. Although the words “mobile wallet” and “digital wallet” are sometimes used interchangeably, mobile wallets are housed in an app on your mobile device, while digital wallets can be accessed online on a desktop, laptop or mobile device. To enable mobile transactions, businesses needs to upgrade their processing equipment to near field communication (NFC). An NFC-compatible point-of-sale (POS) terminal allows the consumer to wave or tap the enabled device in front of the terminal. The NFC receiver reads the signal from the device. The transaction is validated by a microchip in the terminal, then authorized by the processor. If required, the customer can provide a passcode or fingerprint scan to approve the transaction. The customer’s designated credit card is charged, and the customer receives a sales receipt. It shouldn’t be a surprise that millennials and members of generation Z have been quick to adopt mobile wallets. Lest you still consider millennials young whippersnappers, members of this generation were born between the years 1981 and 1996 – putting the elder members at age 38 as of 2019. That’s squarely in the minivan demographic, which may very well be your target audience. Younger millennials have used digital technology almost since they’ve been able to remember, while the quickly emerging generation Z was born digital. As Landry reports, a study by Thrive Analytics revealed that of its survey’s respondents, three out of four who carry no cash at all are under the age of 40. Nearly 60 percent of all mobile wallet users are male. Females ages 18 to 29 tend to use merchant digital wallet apps such as Target, Macy’s and Home Depot more often than males to look for discounts/coupons (72 percent) and price shop (56 percent). As we’ve also seen with other types of digital technology, members of every generation eventually get on board – as anyone with a grandmother on Facebook knows all too well. So unless you’re willing to take goats in trade, the time to open your business to mobile wallets is now. 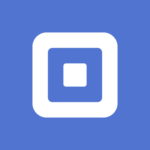 According to a study by Square, customers who use mobile payments are most likely to seek businesses that accept them. But it isn’t only customers who benefit. Security – In addition to the fingerprint verification Apple Pay requires, the data associated with credit and debit cards stored in mobile wallets is encrypted and constantly changing, making it difficult to be extracted by thieves. Nevertheless, consumers need to take steps to safeguard their security and device. The Federal Communications Commission (FCC) offers valuable guidelines for mobile wallet protection. Convenience – Because mobile wallets eliminate the need to carry a physical wallet filled with physical cards, coupons, etc., you’ll never lose a sale because a customer left his or her credit card at home. Speed – A big plus for busy retailers, customers who pay using a mobile wallet go through line much faster, with no fumbling for cards or coupons. Mobile wallets aren’t just for buying goods and services. Non-payment items – known as a “pass” – can be easily updated at any time. Examples of passes include coupons, gift cards, stored value cards, membership cards, business cards, event tickets, booking confirmations and boarding passes. Unlike physical wallet content, a pass can be updated at any time (such as to provide a points balance), or remind a customer about the best time to use a coupon. In his article for Business.com, Syed Irfan Ajmal notes that in order for merchants to stay competitive, they must enhance the overall customer experience. Mobile wallets offer the ideal opportunity for doing so. He sees the expansion of mobile wallet and NFC applications expand beyond over-the-counter transactions into communications that result in a new level of customer loyalty. For example, Ajmal writes, “Using an NFC tag, you can simply direct the consumer towards the special promotion or deal, where the consumers can download or receive information. Moreover, you can establish trust and loyalty through a slew of promotions, including coupons, sweepstakes, giveaways and contests all through using NFC technology. According to Bipin Preet Singh, CEO of MobiKwik, mobile technology is the future of transactions. “Mobile is here and it’s happening, it’s a question of who will emerge as a leader.” Whether you’ll be counting profits or goats quite possibly depends upon the decision you make today. 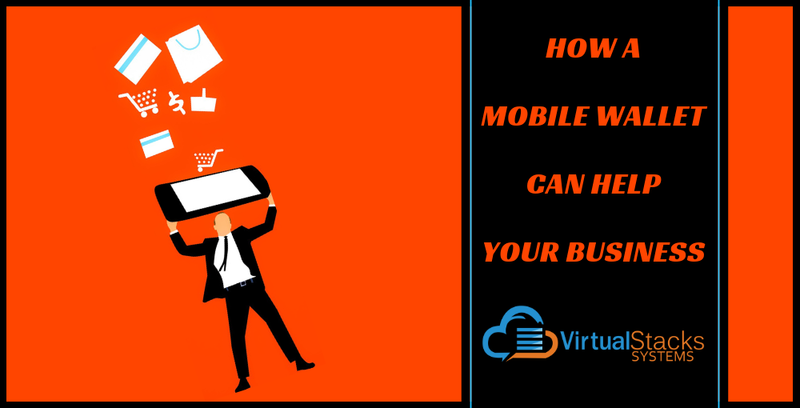 Virtual Stacks Systems’ mobile wallet provides fresh experiences for customers and a new channel for your business. Learn about the capabilities our mobile wallet offers, and contact us to keep your competitive edge now and into the future!